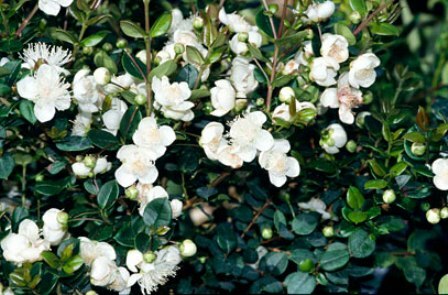 Synonyms: Myrtus luma, Eugenia apiculata. 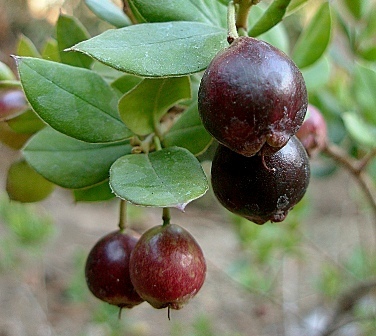 Chilean myrtle, as indicated is believed to have been originated in the central Andes Mountains between Chile and Argentina between 33 and 45 ° South Latitude. The tree has now with time reached North Americas as well as Europe. This tree can resist water logging as it grows mostly in marshes, bogs, water courses, and lake and river shores. This is an attractive plant and therefore has good ornamental value too. A slow growing evergreen tree, usually 15-20 m tall but can grow upto 20 m; trunk twisted and contorted, bark smooth, grey to bright orange, peels as the tree grows. Leaves oval, 2-2.5 cm long, and 1.5 cm broad; fragrant. Flowers white, 1.5 – 2 cm wide, petals curved, profuse and fragrant. Fruit a berry, 1 cm wide, shiny deep blue to black, edible. The fruits are edible and eaten by local people. Chilean myrtle has been used in folk medicine of Chile. The flowers of Chilean myrtle are a good source of honey. The tree looks very pleasing because of the slender red stems and glossy leaves and thus suits as an ornamental plant. It is also made into bonsai. The wood of Chilean myrtle is hard and used in making small items like tool handles, furniture etc. 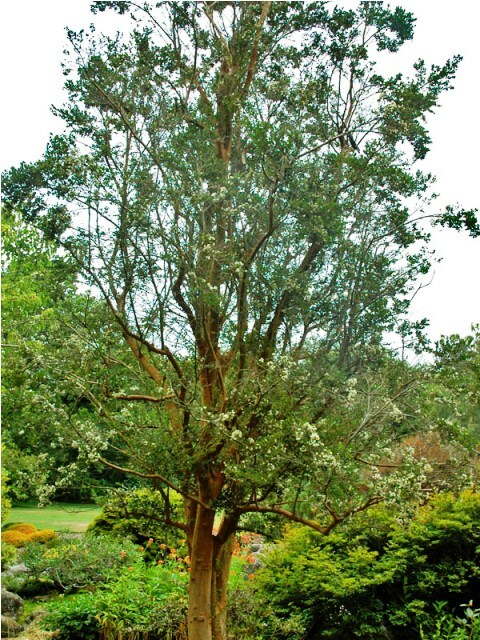 Chilean myrtle is a slow growing tree, though it does not grow into a big tree. 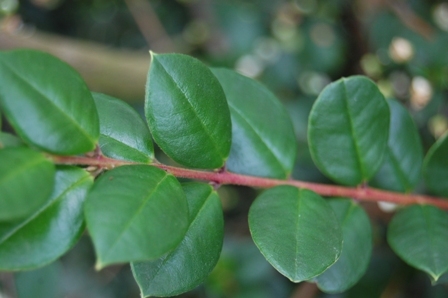 There is no special technique involved in growing Chilean myrtle. New trees are raised from seed. An improved named variety with attractive leaves, is also available in nurseries at Seattle, USA.